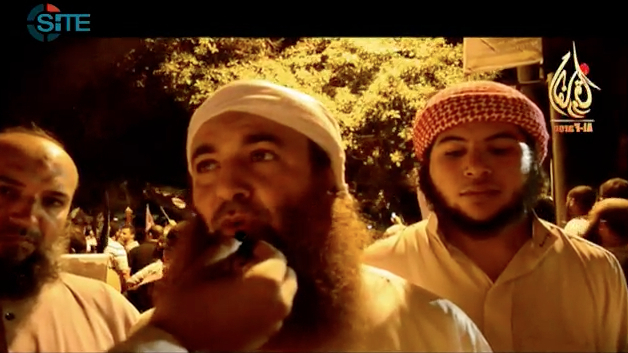 Osama bin Laden, Mohammed al Zawahiri, and Sheikh Tawfiq Al ‘Afani, as seen in the Al Faroq video on the protest at the US embassy in Cairo on Sept. 11, 2012. Courtesy of SITE Intelligence Group. Several al Qaeda-linked jihadists helped incite the protest outside the US embassy in Cairo on Sept. 11. The jihadists include senior members of Egyptian Islamic Jihad (EIJ), a group that merged with al Qaeda, and a senior Gamaa Islamiyya (IG) leader who has longstanding ties to al Qaeda’s senior leadership. Spontaneous anger over an obscure anti-Islam video titled “Innocence of Muslims” has been widely cited as the cause of the embassy protest in Cairo. But clear evidence shows that these al Qaeda-linked jihadists used clips from that film that were televised on Egyptian television as a pretext to incite a mob. The most conspicuous of these jihadists is Rifai Ahmed Taha Musa, an IG leader who was named as a signatory on al Qaeda’s infamous February 1998 fatwa announcing an Islamic Front for Jihad against Jews and Crusaders. The fatwa justified terrorist attacks against American civilians and others. 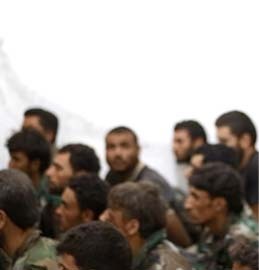 Musa would later disavow his participation in the Islamic Front, but his al Qaeda ties are well established. The role of al Qaeda’s allies, including Musa, in the embassy protest was documented in a video released by Al Faroq media earlier this month. Al Faroq, which is based in Egypt, is not an official al Qaeda media outlet, but it clearly espouses al Qaeda’s ideology and frequently trumpets the terrorist organization’s message. Al Qaeda has also used clips from Al Faroq’s productions in its own official videos. The Al Faroq video of the Sept. 11 US embassy protest in Cairo was first obtained and translated by SITE Intelligence Group. The Al Faroq video attempts to brand the protest as an al Qaeda event. And indeed pro-al Qaeda sentiment was rampant. 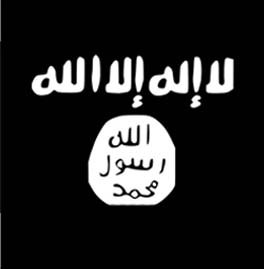 Flags commonly used by al Qaeda in Iraq are shown throughout the al Faroq video. The protesters chanted, “Obama, Obama! We are all Osama!” And the Al Faroq video splices together footage of al Qaeda’s senior leaders with clips of the senior al Qaeda-allied jihadists at the embassy protest. Osama bin Laden is heavily featured. Specifically, Al Faroq shows a clip from the deceased terror master’s March 2008 message concerning cartoons that insulted the Prophet Mohammed. “In closing, I tell you: if there is no check on the freedom of your words, then let your hearts be open to the freedom of our actions,” bin Laden threatened, according to SITE’s translation. The video ties bin Laden to two men who took part in the embassy protest: Mohammed al Zawahiri, who is the brother of al Qaeda emir Ayman al Zawahiri, and Sheikh Tawfiq al ‘Afani, an EIJ leader who does not hide his pro-bin Laden views. 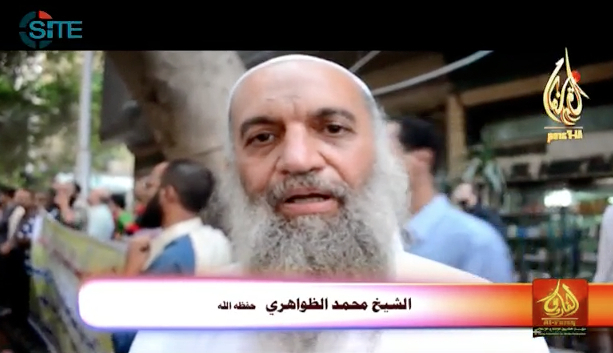 Mohammed al Zawahiri at the US embassy protest in Cairo on Sept. 11, 2012. 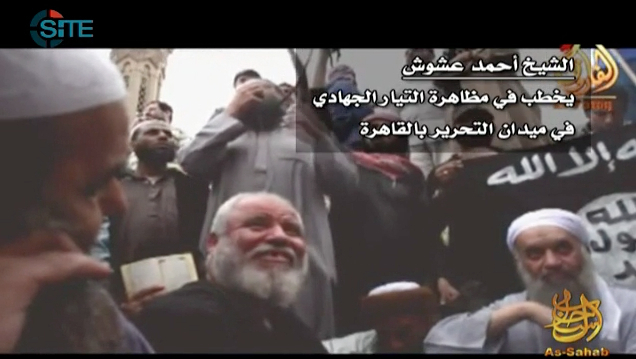 Mohammed al Zawahiri is shown at the embassy rally during the Al Faroq video. In fact, Mohammed al Zawahiri admittedly helped stage the Cairo protest. “We called for the peaceful protest joined by different Islamic factions including the [Egyptian] Islamic Jihad (and the) Hazem Abu Ismael movement,” Zawahiri has explained, according to CNN. Mohammed al Zawahiri has been coy about his al Qaeda ties. For instance, during an interview on Egyptian television earlier this month he tried to distance himself from the al Qaeda organization, while admitting that he adheres to the group’s ideology. On other occasions, Mohammed al Zawahiri has used the word “we” when speaking about al Qaeda and has attempted to justify the Sept. 11, 2001 terrorist attacks. The Wall Street Journal has reported that US intelligence officials think Mohammed al Zawahiri put one of the suspects responsible for the terrorist attack in Benghazi in touch with his brother. Ahmad “is building his own terror group, say Western officials, who call it the Jamal Network,” according to the Journal. 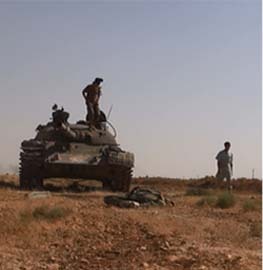 EIJ members are suspected of funneling Egyptian militants to training camps in Libya as well. Sheikh ‘Adil Shehato at the US embassy protest in Cairo on Sept. 11, 2012. 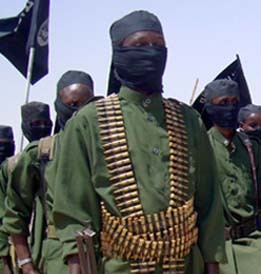 Shehato has not hidden his adherence to al Qaeda’s ideology. He was interviewed by an Egyptian newspaper in August 2011, just months after his release from prison. The interview was translated by MEMRI. After Shehato’s appearance in the video, Al Faroq plays an audio clip of Harith bin Ghazi al Nadhari, an al Qaeda in the Arabian Peninsula (AQAP) religious official who claims that there is a conflict between America and those seeking to implement sharia. Rifai Ahmed Taha Musa at the US embassy protest in Cairo on Sept. 11, 2012. Although Musa has tried to distance himself from al Qaeda’s February 1998 call for jihad against America, his relationship with al Qaeda’s senior leaders is well-established in the public record. In September 2000, for instance, Musa appeared between Osama bin Laden and Ayman al Zawahiri in a video broadcast on Al Jazeera. The trio called for Sheikh Omar Abdel Rahman to be freed from prison in the US. Rahman, a.k.a. “the Blind Sheikh,” is serving a life sentence for his role in the 1993 World Trade Center bombing and a follow-on plot against New York City landmarks. Jihadists, including those within al Qaeda, have repeatedly said that they will fight for the Blind Sheikh’s freedom. For example, the IG terrorists who massacred dozens in Luxor, Egypt in 1997 left behind leaflets calling for Sheikh Rahman to be freed. Musa was involved in an effort to execute a “second Luxor,” and fought efforts made by other imprisoned IG leaders to enact a ceasefire. Musa has continued to oppose revisions to the IG’s ideology that some of its leaders have made in pursuit of a more politically-oriented approach. As early as 1998, Musa had been publicly identified by the US government as an al Qaeda ally. The Clinton administration’s indictment of Osama bin Laden and other al Qaeda members responsible for the Aug. 7, 1998 embassy bombings notes that al Qaeda has “functioned both on its own and through some of the terrorist organizations that operated under its umbrella.” The indictment then names the EIJ, headed by Ayman al Zawahiri, and the IG, which was headed by the Blind Sheikh and then Musa, as two groups that fall under al Qaeda’s “umbrella.” Musa was specifically named as an unindicted co-conspirator. In 2001, Musa was deported from Syria to Egypt, but after the fall of Hosni Mubarak’s regime he was freed from prison. Even though it is in his interest to downplay or outright deny his al Qaeda links, he has not done so in his post-detention interviews. During an interview with Asharq Al-Awsat in late September, for example, Musa conceded “there was a relationship between al Qaeda and the Islamic Group,” but said “it was not in the form of a common organizational framework. ” Instead, Musa said it “was similar to a relationship between any two political parties,” with “exchanged benefits.” There is a long history of collusion between IG leaders and al Qaeda in terrorist attacks, including the 1995 assassination attempt on Mubarak in Ethiopia. Thus, a senior terrorist with demonstrable ties to both Osama bin Laden and Ayman al Zawahiri helped incite protesters at the anti-American rally in Cairo on Sept. 11. 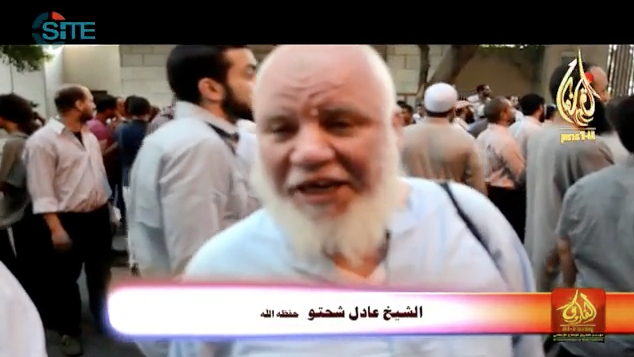 Sheikh Tawfiq al ‘Afani at the US embassy protest in Cairo on Sept. 11, 2012. The next EIJ leader shown in the Al Faroq video is Sheikh Tawfiq Al ‘Afani, whose pro-bin Laden sensibilities are well known. In the film, Al ‘Afani encourages violence against the makers of the anti-Islam film and anyone who insults the Prophet Mohammed. Al ‘Afani has openly praised Osama bin Laden at other rallies since his release from prison. 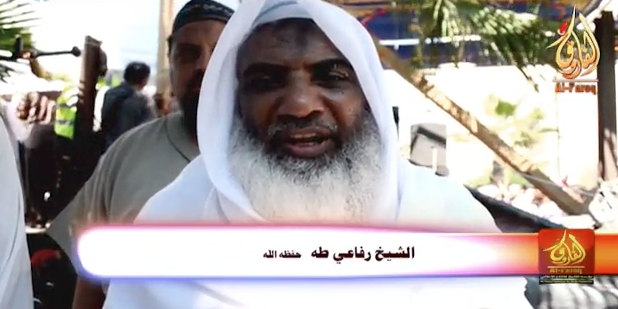 Mohammed al Zawahiri (right, in front of an al Qaeda in Iraq flag), Sheikh ‘Adil Shehato (center, bottom), and Ahmad ‘Ashoush (center, speaking on microphone), from an As Sahab video released on Sept. 10, 2012. The day before the embassy protest in Cairo, al Qaeda’s official media arm, As Sahab, released a video starring Ayman al Zawahiri. 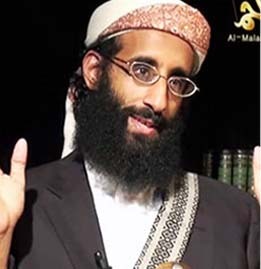 In the video, al Qaeda’s emir called for revenge for the killing of Abu Yahya al Libi and also used the occasion to argue that his organization’s ideology is alive and well. At this point, the As Sahab video cuts to a clip from Al Faroq media. In the foreground of the clip, both Mohammed al Zawahiri, who is sitting in front of a flag commonly associated with al Qaeda in Iraq, and Sheikh ‘Adel Shehato can be clearly seen. As explained above, both attended the Sept. 11 protest in front of the US embassy. Another longtime EIJ ideologue, Ahmed ‘Ashoush, is seen speaking in the Al Faroq clip used in Ayman al Zawahiri’s video. ‘Ashoush’s talk hits on the same theme Ayman al Zawahiri offered — that the blood of al Qaeda’s martyrs keeps the group’s ideology alive. “And there were honorable men who offered everything dear, cheap and precious in this cause, and offered to us an example,” ‘Ashoush says, according to a translation provided by SITE. ‘Ashoush’s praise for Osama bin Laden is not surprising. According to MEMRI, ‘Ashoush was a “close friend of Muhammad ‘Atef, aka Abu Hafs Al-Masri, one of al Qaeda’s most prominent military commanders.” Abu Hafs was killed during the US-led bombing campaign in Afghanistan in late 2001. ‘Ashoush traveled to Afghanistan in 1989 to wage jihad, MEMRI reports, and he lived in Abu Hafs al Masri’s home. ‘Ashoush also became “acquainted with Osama bin Laden and Ayman al Zawawhiri” before returning to Egypt to found a jihadist group. ‘Ashoush was imprisoned during the 1990s and released after Hosni Mubarak’s fall from power. The five senior jihadists profiled here were all imprisoned in Egypt for their roles in terrorist organizations affiliated with al Qaeda. They were released in the wake of the Egyptian revolution. They have not denied their affinity for al Qaeda since their release. At least four of them have, in fact, loudly proclaimed that they are loyal to al Qaeda’s ideology. 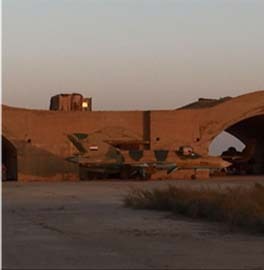 The fifth, Musa, has longstanding ties to al Qaeda’s senior leadership. The five embody the message that Ayman al Zawahiri delivered in his Sept. 10 video: Al Qaeda’s ideology lives. Each of the five has sought to spark outrage over an anti-Islam film. Their belief in al Qaeda’s ideology long predates “Innocence of Muslims,” however. Nic Robertson from Londons CNN Bureau talked outside the US Embassy in Egypt with the current Al Queda leaders brother and the blind sheiks son, about the protest going on to release the blind sheik. CNN is not showing that video. on youtube titled Brian Lilley: The MSM is lying about the Muslim riots. The video is 12.01 minutes long, you will see the CNN video within the first 3 minutes. We are fighting a hydra headed monster that has over the centuries vowed to kill us; and has gone on to kill us pretty much at will. They are limited by their backwardness, not their desire. But let us not name them; let us give them arms so they can fight their co-religionist who kept them down in the past. There is a great idea. His inflammatory chat show on satellite television has long prided itself on baiting liberals, Christians and Jews, but last week saw Sheikh Khalid Abdullah stage the broadcasting controversy of a lifetime. We supported this new government in Egypt which has freed these five formerly imprisoned Al Qaeda jihadists. They stirred up the riots that led to sharia flags flying over four U.S. embassies. We intervened in Libya; now arms are flowing from Libya to Algeria and Palestine, and used to target Westerners, our ambassador, and Israel. They hate our drone strikes, our imprisonment of the blind sheikh, and especially the killing of Osama Bin Laden. Surveys show that Muslims dislike America more now than in the Bush years. No surprise here. For quite some time TLWJ & many of its ‘posters’ have been ‘speaking’ to this issue of infiltration & the surfacing of elements inimical to best interests of the locals, region & the world at large. Based on what ‘we’ve’ experienced & witnessed to date ‘this’ is obviously the ‘front end’ of an expanding & metastasizing human borne violent ideology bent on conquest. Sadly, not surprising. Such is the direction Egypt has taken since the Arab Spring. I wish that the U.S. administration would not be naive about the MB. While they may not officially do the same kinds of violent actions that Al Qaida is open about, there is no difference in idealogy between them and AQ. And I know from personal experience talking to Egyptians that the common ordinary Egyptian who supports the MB also supports people like Mohamed al Zawahiri et al.